We’re halfway through the 2nd hottest month in Las Vegas with an average temperature of 103. Of course, July outshines August with an average temperature of 106. It’s still HOT and keeping our pets hydrated is still a challenge. Here are a few ideas for adding some cool treats for your dog. 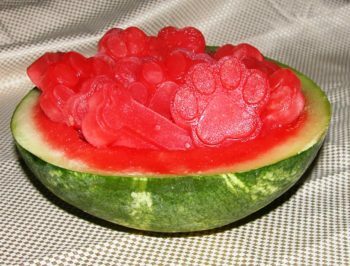 Watermelon Dog Treats are very easy to make. Blend the ingredients together to make a liquid. Pour the liquid into some ice cube trays and freeze. Note: if you use the silicone bone or paw print molds you must use a cookie tray or something solid to be able to pour the liquid into the molds and then to place in the freezer. Otherwise, you’ll have a sticky mess on your counter, floor or freezer. *Coconut water is naturally refreshing and contains easily digested carbohydrates and electrolytes. Blend ingredients together. Pour mixture into ice cube trays, plastic or paper cups, or freezer molds and place into freezer. **Peanut butter – it is best to use unsalted and unsweetened AND check the label to make sure it doesn’t contain xylitol. 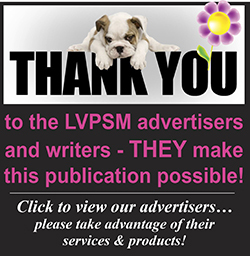 Xylitol is toxic to dogs. These treats are safe for humans also. 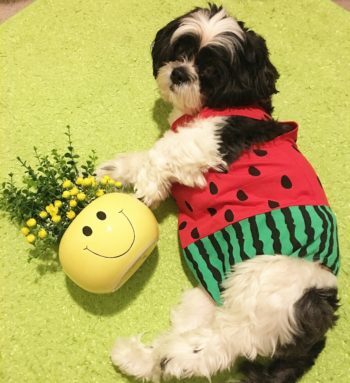 Personally I like the watermelon treats. I don’t like coconut water alone but combined with the watermelon it is tasty and refreshing. The ingredients in these recipes are considered safe for dogs. Remember though that these are treats and need to be offered carefully. It is always best to add just one or two new items at a time in case your dog has an adverse reaction to them. If your dog has any medical condition please check with your veterinarian about offering these frozen treats to them. Stay cool with these cool frozen treats!